Thanksgiving Dinner tonight! 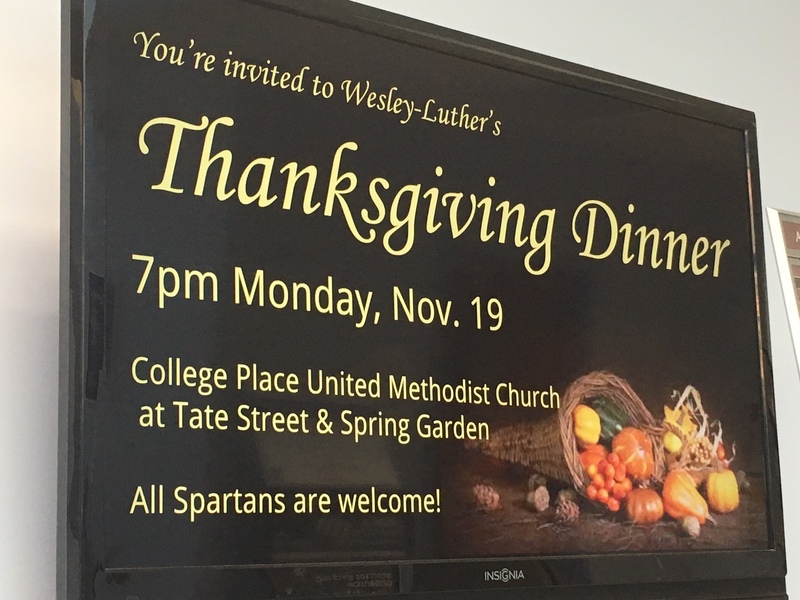 All Spartans are welcome! Free and delicious . . . just bring yourself and maybe a friend!